Last year, Jeju hit 10 million tourists and 2.3 million foreign tourists, and international cruise passengers comprised around 16.5 percent of all foreign tourists coming to the island. As such, it is worth noting how much cruise tourism contributes to the local tourism industry. Cruise tourists increased 175 percent from 140,496 in 2012 to 386,139 in 2013. More than 0.5 million are expected this year. It is no small achievement, then, for Jeju, without ideal cruise port infrastructure due to the lack of an exclusive port, to rank as the number one port of call in Asia for 2013. With the completion of Jeju Civilian-Military Complex Port in 2015, the cruise industry is expected to be an engine for the Jeju economy, which will attract a million tourists by 2016 and 2 million by 2020. To ensure the benefits of such growth goes to local people, local agricultural and fishery products are being supplied to cruise lines such as Jeju cabbages, white radishes, eggs, halibut and Samdasoo bottled water. Such initiatives are expected to boost primary industries on Jeju. Another way of maximizing local benefits is to train specialized manpower to work in the cruise industry. As a convergence industry connecting hotels, restaurants and shipping, cruising is a high value-added industry for future growth, which will create jobs and lower youth unemployment. An example of this is “i-Crew,” through which university students gain experience in the industry and even have the chance of receiving crew training. An internship program will also produce skilled personnel for the future Asian cruise market. In addition, Jeju operates cruise tour programs to local markets such as Dongmun Market and the Jungang Underground Shopping Mall. There are also cruise welcome events, and tourist and translation services. The center of the cruise market is shifting from Europe and North America to Asia, with China the engine of the rapid growth in the region. Jeju, sitting between Korea, China and Japan, not only has the obvious geographic advantage, but also world-beating geological riches including three UNESCO titles and the New7Wonders of Nature honor. It is crucial for Jeju to seize its place as the leading cruise hub in Asia. 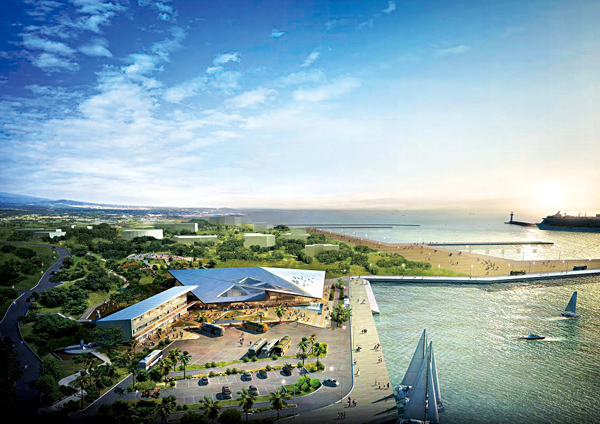 The successful Cruising Asia 2013, Jeju Forum showed the province staking its claim early. This year Jeju invites international cruise company managers and cruise experts again to discuss the development of the industry at the 2014 Asia Cruise Forum Jeju.